Surprising answer to the question of "Are Ouija boards real?" 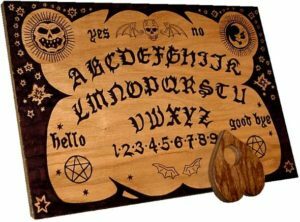 The question of are ouija boards real tools for contacting the dead comes up a lot in the paranormal world. Skeptics say it is all fake with people pushing either consciously or not to get the results they want. Others will say that ouija boards are very real and can have huge unwanted side effects. 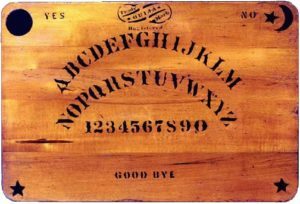 Lets take a look at the history of ouija boards, their use and are ouija boards real tools for contacting the dead. The term Ouija board describes any of the a plethora of divining instruments utilizing a board with letters and numbers and a planchette for selecting answers. The first was marketed by Elijah Bond in 1890. It started out as just a parlor game, but became a way to contact the dead during the ensuing years. While Bond was the first to market them, people before that were using a variety of variations of the spirit board or talking board for contacting the dead. In essence they are variation of the phenomenon of automatic writing. The basic operation is for everyone involved to sit around a table, lightly place their fingertips on the planchette and ask spirits questions. The spirits in turn guide the user’s hands to have the planchette spell out answers. Oddly enough the arguments against ouija boards being real is, in my book, the reason that they work. This is what is called the ideomotor effect. In a nutshell, this is the idea that your emotions and subconscious can influence your body to move without you being conscious of it. In effect, debunkers say that it is really your own mind and desires that are generating the answers that the ouija board is giving. Vox has a great article on this whole phenomenon. Consider that it really is your subconscious that is driving the planchette across the board. The question is, who is influencing it. In any automatic writing scenario, the idea is to channel a spirit or entity to enter or at least work through your body to give answers. So for science to tell us that it is our own bodies pushing the planchette around the board makes more sense than a spirit having to expend energy to drag it across the board. Instead it can simply influence the people touching it to move it for it, what I imagine is a much easier task. But there in lies the danger as well. Even if you make the assumption that spirits aren’t real and that they aren’t influencing your actions, that leaves your subconscious. 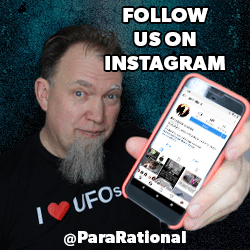 Now while you can say that there will be some skewing of answers toward what you really hope is the answer, our subconscious minds are massive repositories of information that we do not have direct access to. Keeping entirely in the mundane, it is entirely possible that the answers given are entirely valid, just delivered through the side door of our minds. Proving that it is spirits that make the planchette of a ouija board more is nearly impossible. Furthermore, in some cases it likely isn’t a ghost, but our own desires or subconscious doing all the work. Rarely in the natural world are answers cut and dry. Here are some possible answers to if ouija boards are real. Easiest way to explain away ouija boards is that they don’t actually work and it is just people pushing it around to get the answers they want. Even if it subconscious, it is still you just pushing the planchette. Nothing spiritual or paranormal to see here. For believers, there is one answer to ‘are ouija boards real?’ and that is yes! You ask, they give you answers to the things you want to know. This of course, supposes that the spirits you want are paying attention of course and want to cooperate. 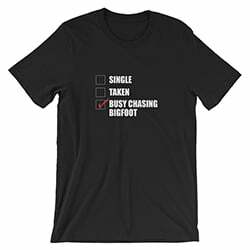 This may or may not always be the case. The danger of course is that something other than a benign spirit takes notice that you are on the other end of the call, more about that in a bit. The reality is that like most tools for contacting the spirit realm, ouija boards are just another ghost hunting tool in the arsenal. From pendulums, to tarot cards, to automatic writing an seances, these are all just interfaces to be used to contact the non-physical realm. How effective a ouija board is in contact spirits relies heavily on the user, intent, location and so on. A practiced person will have much more success than someone that picks one up from the store and gives it a go. Like any other tool, if misused ouija boards can be dangerous. The basic premise of a ouija board is that you are to some extent channeling a spirit through you to get your answers. Invariably this means spiritually opening yourself up to some extent. This means that entities that are malevolent can take advantage of that. We will write on the dangers of using a ouija board and how to use a ouija board safely in later posts. My advice is to not use them lightly. To answer “are ouija boards real tools for contacting the dead?” I would have to say yes, with some caveats. If there are spirits in the location you are at or if you have spirits that are paying attention to you, and are you in a spiritual state to contact them, then yes, ouija boards are real and can contact the dead. Nothing in dealing with the paranormal is certain. Ghost hunters may visit a location dozens of times before getting solid evidence. The same is with ouija boards. If you need more proof that ouija boards are real, consider that Alister Crowley, probably the most accomplished spiritualist of our modern era regarded them dimly, but not because they didn’t work. He is quoted as saying that the ouija board was probably “the most dangerous implement ever given into the hands of humanity.” It seems unlikely that if it didn’t work, he wouldn’t have had a dim view of them. In fact the issue most likely is that they work a little too well. Take care before asking questions! Your brother thinks they’re dangerous – doesn’t want me to use the one I bought. What do you think? Dangerous, or perhaps informative? I think it is all in how they are used.